The South Shields 10 Mile Race will return in 2018 for its third year along the beautiful coastal views of South Shields. 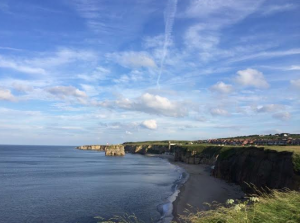 The 2018 course will start at Souter Lighthouse, heading North along the beautiful South Shields coastline and The Leas before heading back to Souter Lighthouse to finish. The hugely popular South Shields 10 is a fantastic challenge on multi terrain, including trails, grass and coastal paths.The race is a perfect challenge for all runners and will serve as an ideal training race before the famous Great North Run in September. Held under UKA Athletics rules. 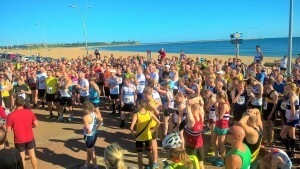 Number Collection – On the day from 7.45am at Souter Lighthouse, or at The Bamburgh Pub on Saturday 4th August from 9.30am-10.30am after parkrun. Advised cut off time – 11.45am based on previous years. We will still allow people to finish their race. Car parking & Toilets available at Souter Lighthouse site. There will be a charge for parking set by The National Trust of £3 for all day parking. Free for national trust members.